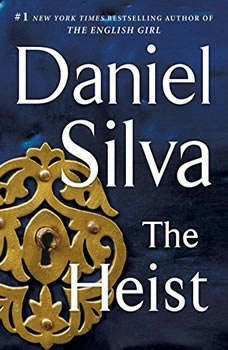 Michigan born author, Daniel Silva has had a most interesting career before he made the decision to follow his dream of becoming a novelist. He left his pursuit of a master's degree in International Relations when he was offered a temporary position with United Press International in 1984 to help cover the Democratic National Convention in San Francisco. He joined UPI later that year as a full time correspondent. His job eventually took him to the Middle East, where he met his future wife, Jamie Gangel who was working as an NBC Today Show Iraq - Iran War Correspondent. They were married in late 1987. Silva returned to Washington, DC, where he accepted a position with CNN. In 1995, Silva began his writing career in earnest with the instant best seller, The Unlikely Spy. All of his books have been on the New York Times best seller list, and have been published worldwide. His most successful series was about Israeli art restorer, spy, and assassin Gabriel Allon. Currently, Silva lives with his wife, Jamie, and their children Nicholas and Lily. It is said that Silva frequently takes his children on research trips for his books.